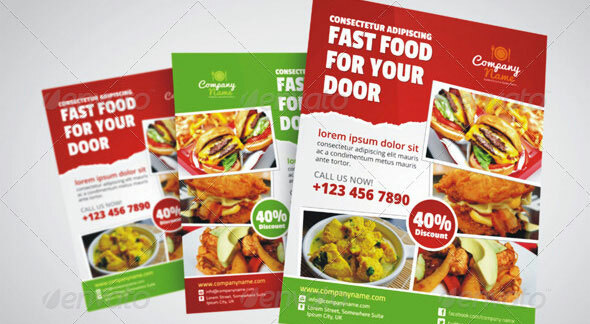 Fast food Flyers have always been one of the most popular marketing mediums, irrespective of the business theme. For ages, restaurants, fast food joints and other eateries have been counting on flyers to spread the word around. 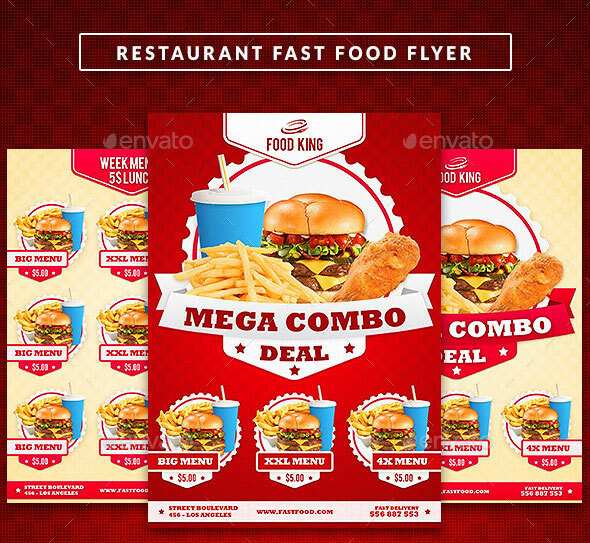 Whether you have to talk about your latest gourmet deals or hot favorites from your restaurant or any holiday special offer, here are 34 Fast Food Flyer PSD Templates that you can use to advertise your business and promote your fast food menu items with style. 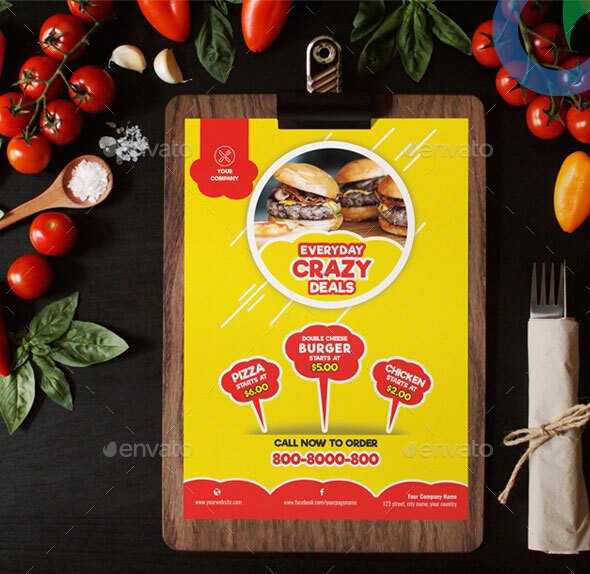 This template is perfectly suitable for Fast Food Restaurant, Catering, Grill bar etc. It suitable for any food business. It can be Flyer, Poster, Press Ad. Just change text and images, your flyer is ready. It is a product designed especially for food restaurants o carts that offers these types of delicacies. Boost your company`s sales and attract new customers! This Template has been developed to help Large and Small businesses improve their Marketing Opportunity and product/brand awareness, with well-studied content for effective marketing and promotion. 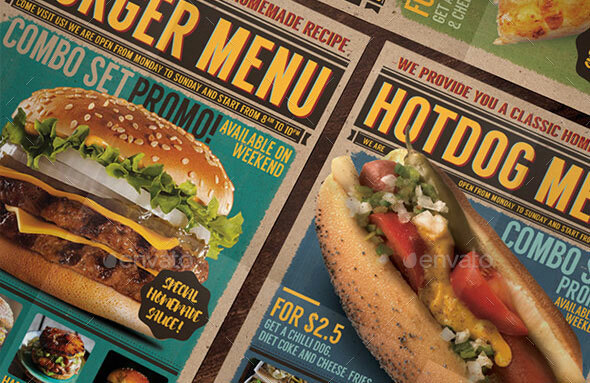 A rustic, newspaper style food flyer and menu that you can edit and print right away! The flyer comes with front and back side design so you have enough spaces to place your items. 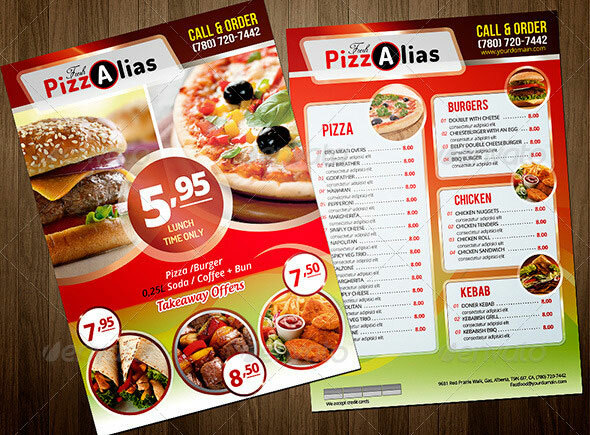 Also, there are 3 types of both colors and menus: pizza, burger and hotdog, that you can mix-and-match or simply use. 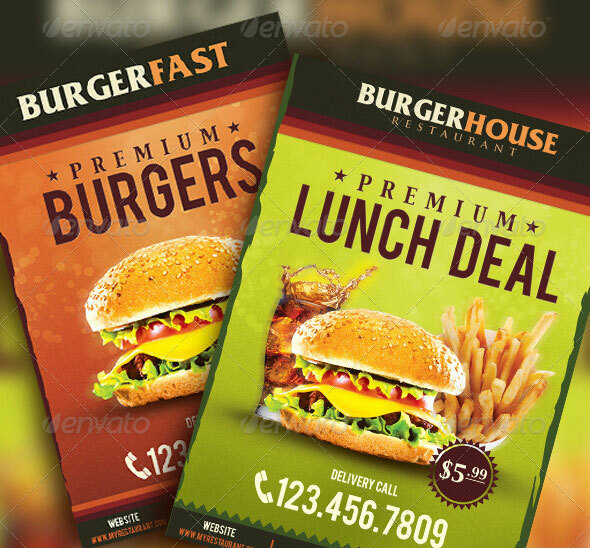 Modern, professional and clean fast food flyer and menu templates; set to advertise a lunch offers and the available meals and their prices. 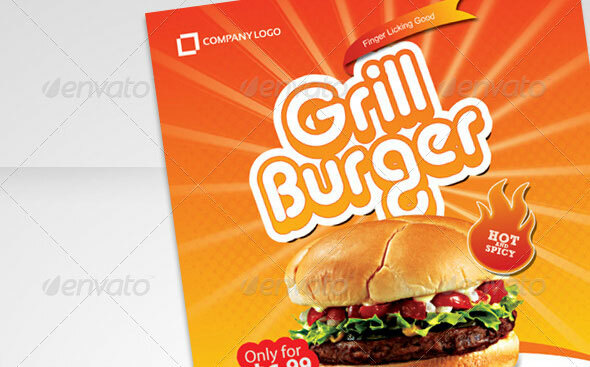 This design is set specifically for the fast food industry and the restaurant business. The simplicity of the design makes those templates easy to manipulate and customize. You can also use this template in any magazine or book. This template will get more attraction to your food and offers. Suitable for any restaurant and fast food business. Easy to move or change if required. 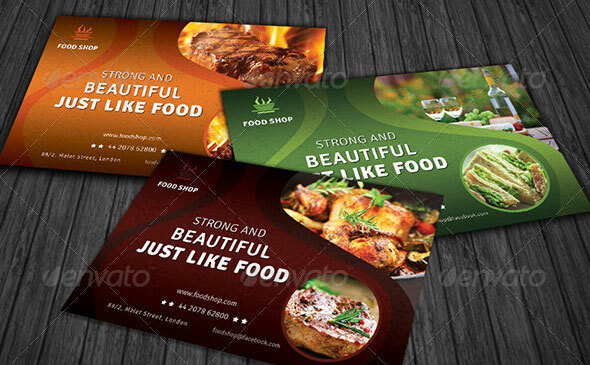 This package contain Fully layered PSD resolution of 300 Dpi, color mode CMYK, Completely editable Text/Font or Color can be altered as needed, print ready. 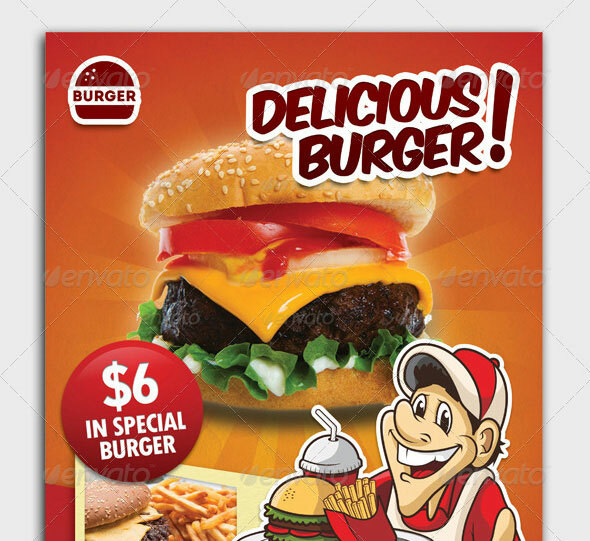 A fast food flyer template, perfect for your products, promotions, or any `food idea`, fully customizable, layered, very weel organized, all text editable, very easy to modify, 300 DPI , CMYK, bleed and ready to print. 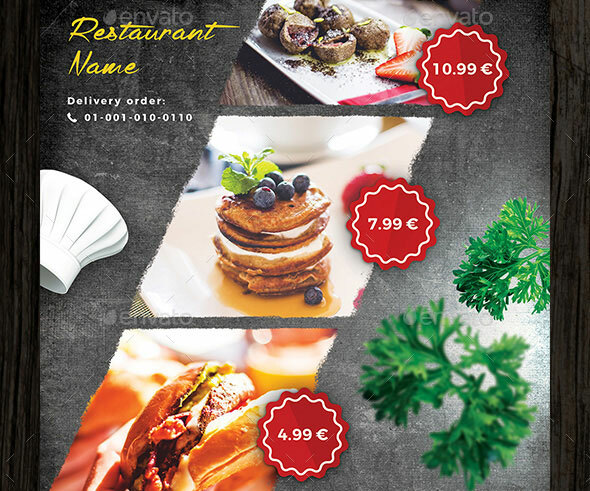 This flyer menu template perfectly fit into any kind of food and beverage business, cafe, restaurant, fast food businesses, supermarket or retail shop as well. Promo flyer for your restaurant. Clean design. Front and back in separate files so you can print it single or double-sided. 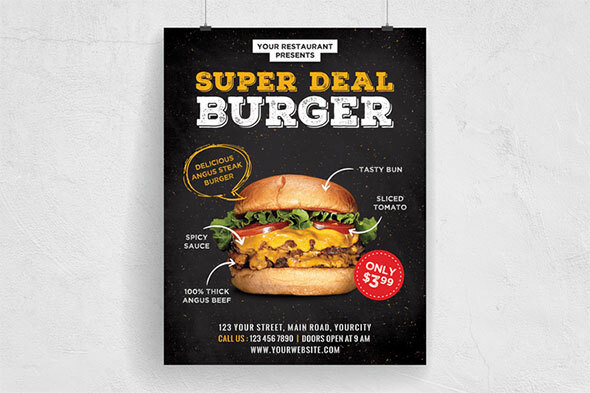 An eye catching Fast Food Restaurant Flyer. 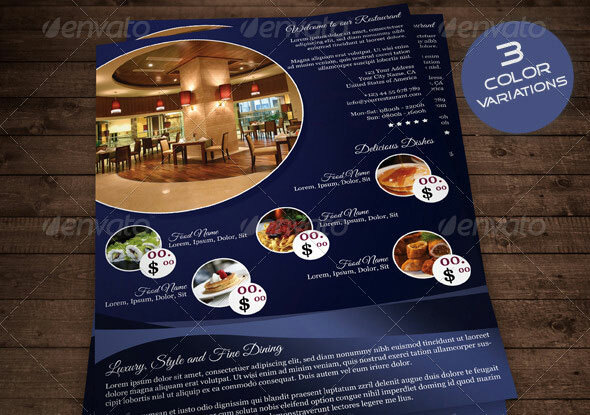 Advertise your menus or make promotions with this professional and organized food flyer. 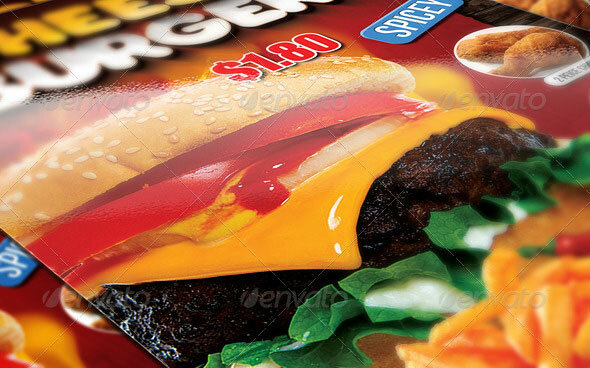 This flyer facilitate for your customers, to your customers can easily and quickly in order food at your place. Spesification 2 PSD File and fully costumize. 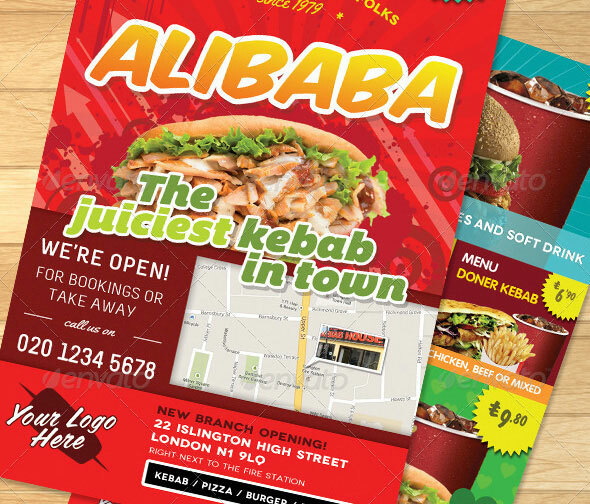 Print ready colourful fast food kebab shop flyer with food menu and map. The flyer comes in three sizes: A4 , A5 and A6 with 4mm adjustable bleed margin. 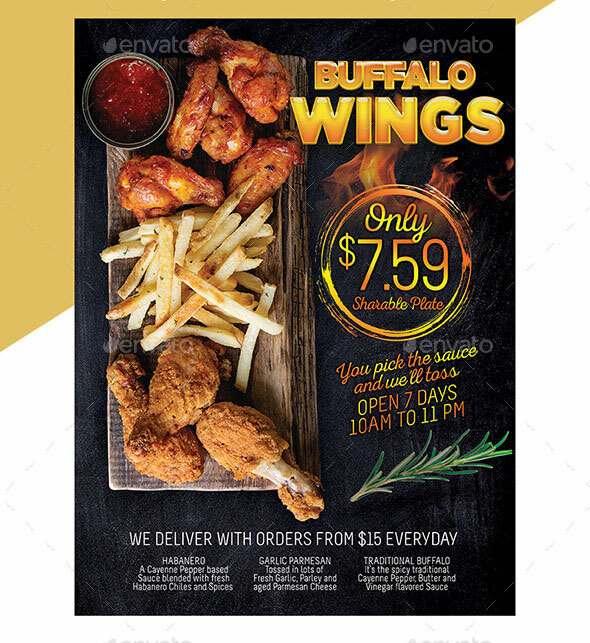 This is a beautiful menu design for a Buffalo Wings restaurant! 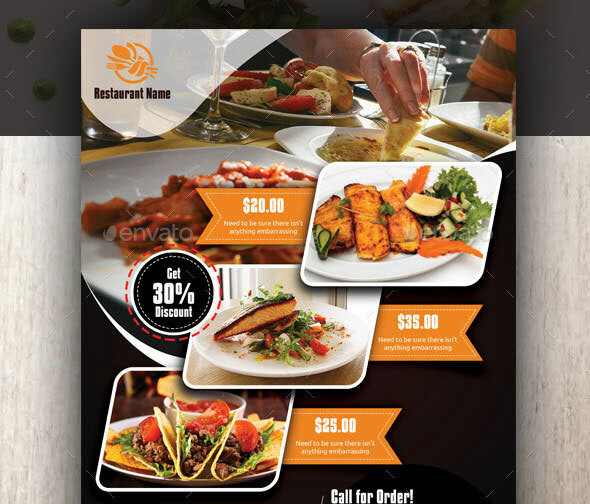 You can use this flyer to advertise your business and promote your menu items with style. 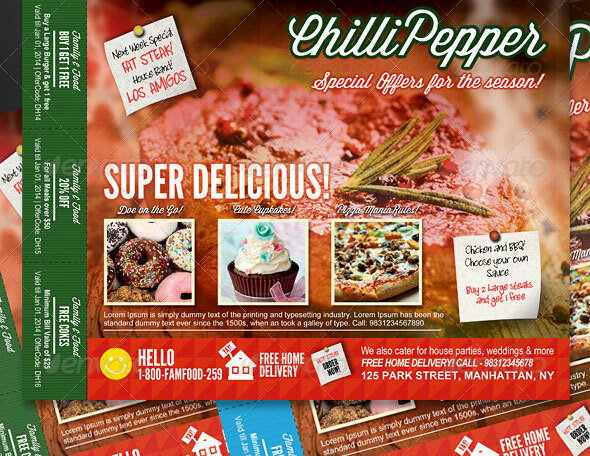 It is very modern psd flyer that will give the perfect promotion for your upcoming offer or new item in menu! All elements are in separate layers and text is editable! 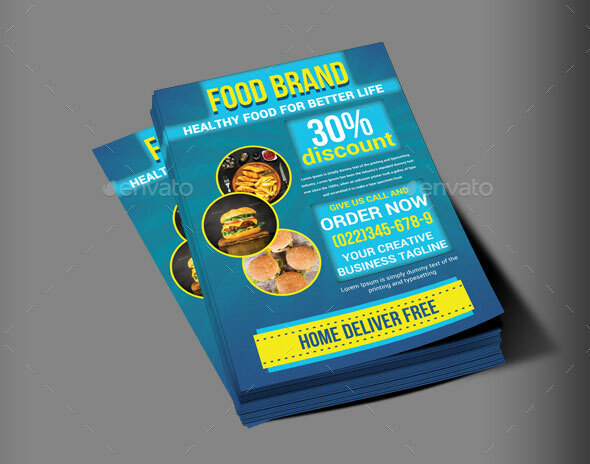 Creative, Clean and Modern Creative Fast Food / Restaurant Flyer Ad Template, ready to use for Fast food item sale / Restaurant Sale or Retail Business or any kind of Business. Gorgeous and Professional Design – Perfect for business. Eye catching colors, attractive text, and amazing high quality make this a perfect flyer for anyone needing a print ready, easy to edit flyer. You get Two different designs, with two different color schemes (easy to change and customize completely). With its 300DPI CMYK and A4 size, the quality is perfect for print. The Logos are included with the download, and both font downloads are given in the help file included with the design. 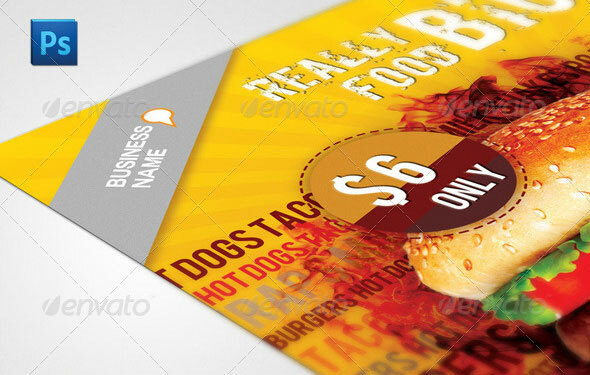 The perfect design if you are looking to promote your fast food business, restaurant, catering business etc. 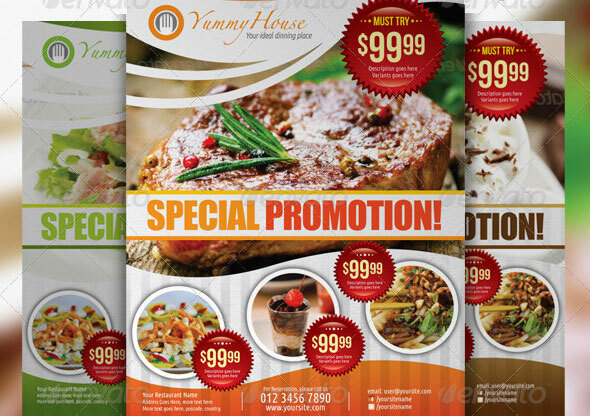 These flyers have been creatively designed to give your business the maximum exposure. 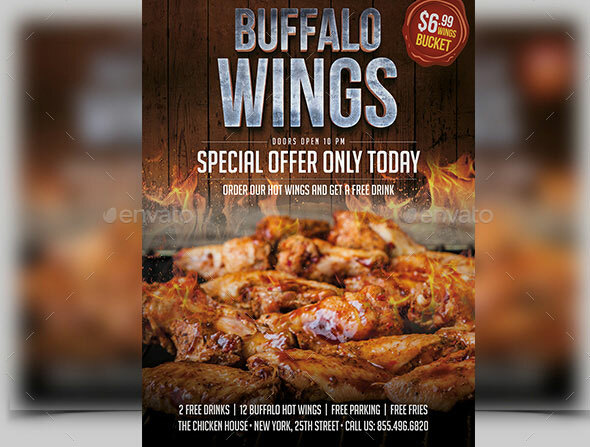 It is a flyer template suitable to promo your fast food bar, chicken BBQ, bar or restaurant. 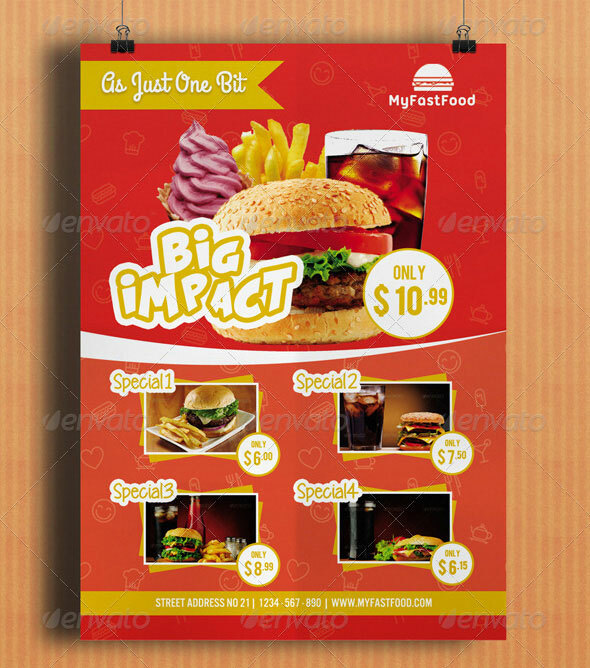 It is also a modern and attractive design suitable for any fast food restaurant or fast food American restaurant! 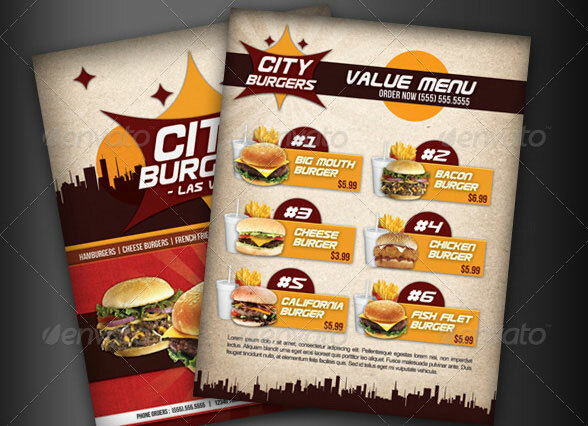 A great design for a fast food restaurant, you can use this flyer to advertise your business and promote your menu items with style. Perfectly fit into any kind of food and beverage business, cafe, restaurant, fast food businesses, supermarket or retail shop as well. 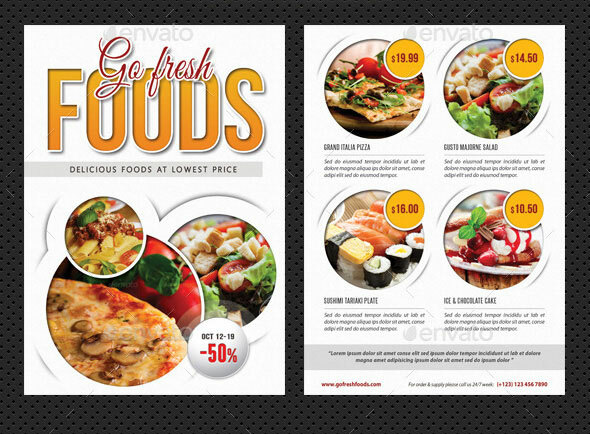 It`s a modern Food Flyer Template, perfectly suitable for food bar, restaurants, Catering, Grill bar etc. 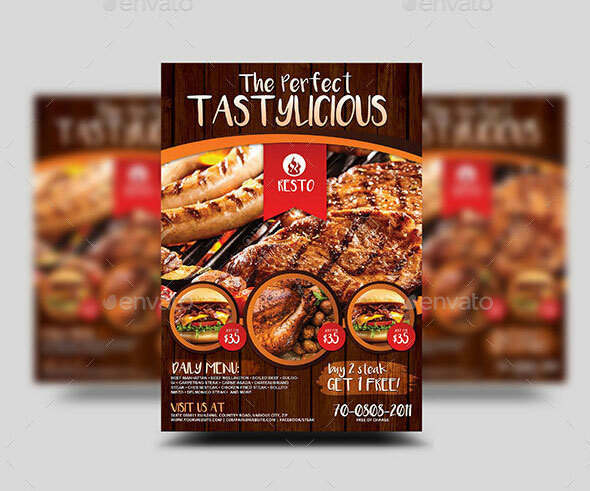 This Restaurant Flyer can be used for fast foods, grill, jerk, Italian restaurants etc. Each object is separately layered so you can adjust as you wish. 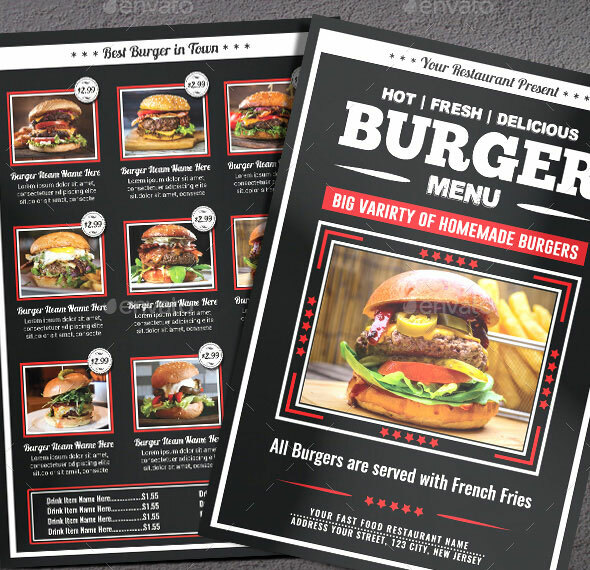 High impact Multiuse Double-Side Fast Food Menu Flyer template, perfect for restaurant, bar, fast food, stores, menu or business advertisement or product promotion! Save your time and make it yours in seconds! You may simply change your desire color to fit your needs. A modern, professional and clean flyer and poster template. 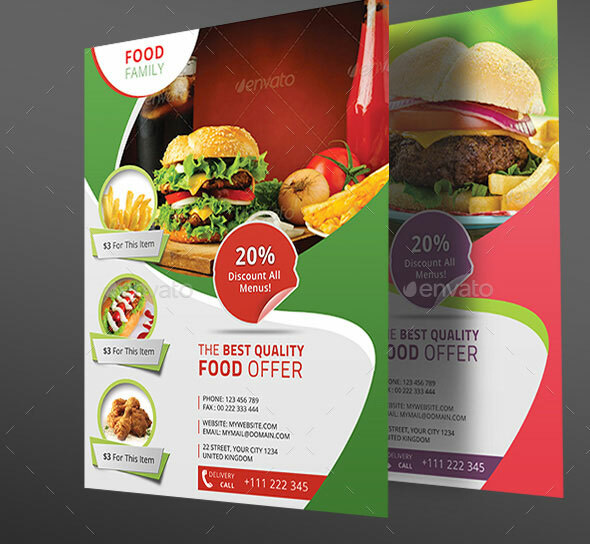 Flyer template will help you to advertise your offer for fast food and/or small restaurant. 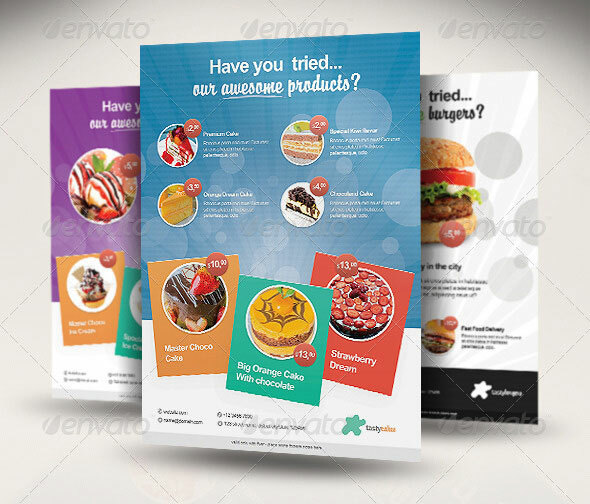 Simplicity of the design allows to easaly manipulate with flyer template – change text, colors and images. 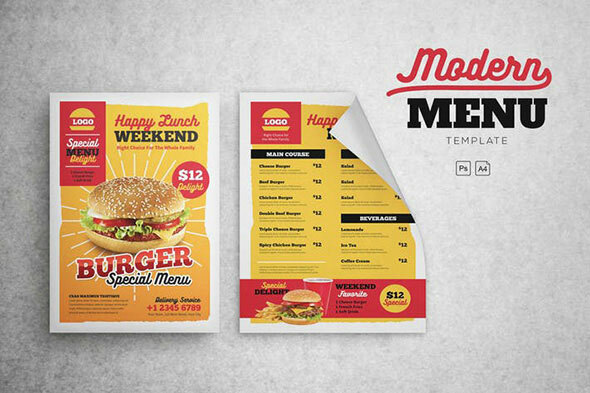 The Vintage Menu Bundle you can be used for promote your restaurant, bar, fast food, cafe, steak house. This food item is a designed for any types of companies. It is made by simple shapes of elements although looks very professional. Easy to modify, change logo, icons and colors (like red, yellow, black, blue, cyan, brown, gray) dimensions, get different backgrounds and textures patterns combinations to suit the feel of your web or social media event. 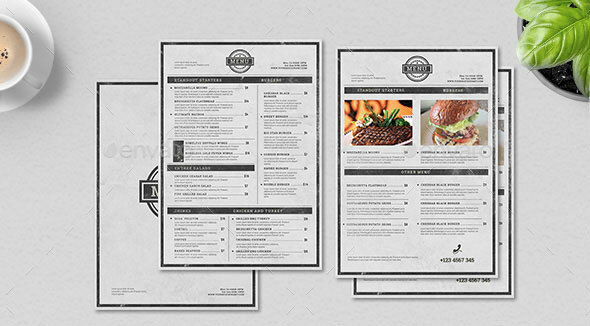 Restaurant Flyer Template is a clean and elegant looking template suitable for food business. Nicely designed, you can use it to promote your services in easy and creative way. 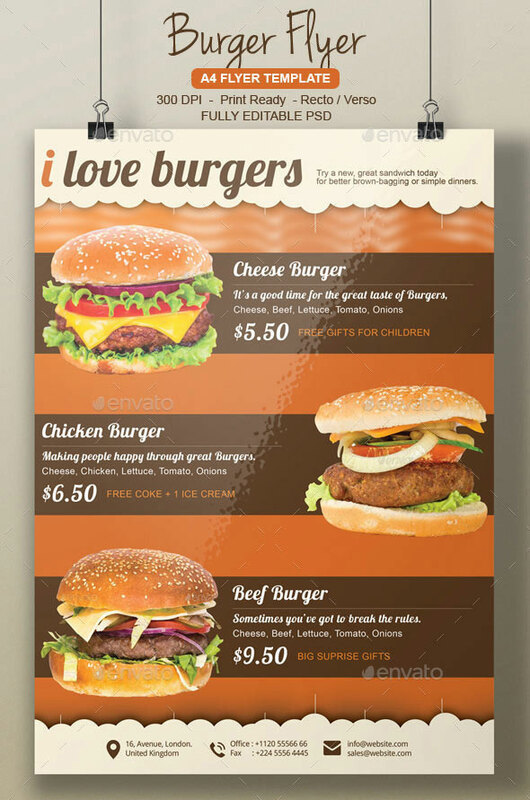 This is a great promotional flyer that will help you to boost your sales. Distribute these flyers in your country side, and check your sales margin every month to know the effectiveness of this marketing flyer. 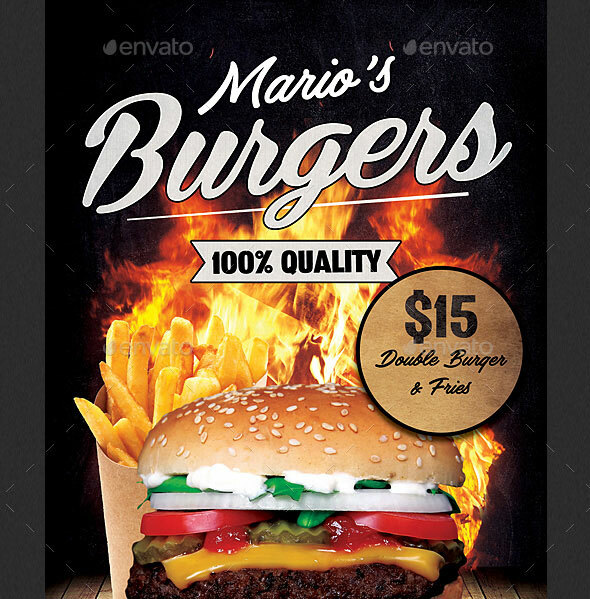 A Call-to-Action layout that invites people to come and buy your burger or sandwiches. Inform your audience that you do home delivery too, or if you have some promotion going on, put it there. It is a Photoshop templates, with recto and verso. Very easy to edit template and print ready. The perfect template for promoting your products. It comes in 3 different versions and colors, it can be used by restaurants, shops, ice cream shops, fast food houses or any kind of business to promote and market your products in a beauty and attractive way. Every element is designed with attention to detail and focus on simplicity and flexibility, bundled with a great typography, it is ready to stand out and get your customers attention. It can be used for print or in online purposes. All elements are all in vector shaped and can be easily salable to some other dimensions. 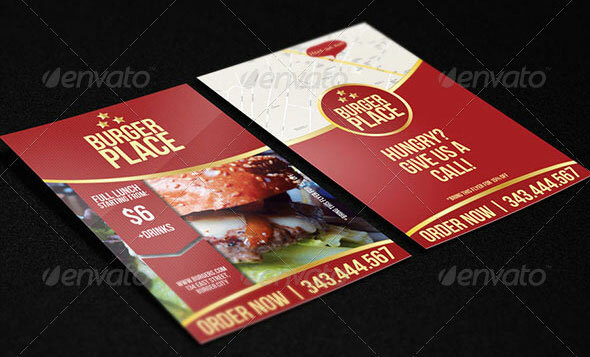 This Restaurant Flyer template can be used for any business purpose or others projects. All text, colors, images, fonts are user-friendly and very easy to customize with Adobe Photoshop.